Wall art is a great way to spruce up your home but it can be expensive. A large original piece of art can run thousands and reproductions can run hundreds. You don’t need an artist to give your walls some love. You can do it yourself! Here are 8 cheap DIY wall decor ideas for making your own original decor. We focus on cheap and affordable ideas that are fun to make! Paper mache letters are affordable and easy to find. 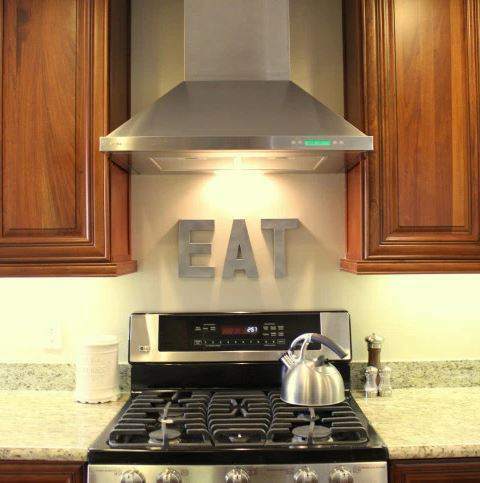 They are also perfect for all kinds of cheap wall art ideas. A piece of plywood equals endless cheap wall art ideas! 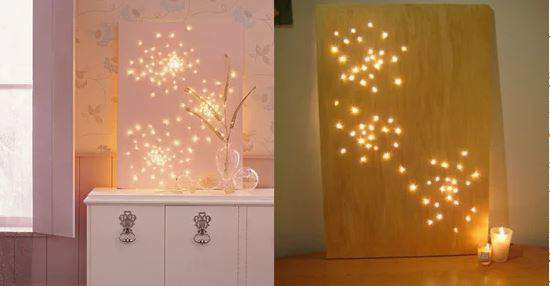 This neat idea is perfect for anyone that loves stars. Just drill holes into the board in your desired pattern and insert Christmas lights into the holes in the board. 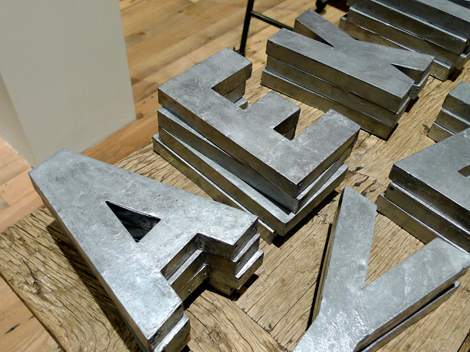 Flat wooden letters come in all shapes, fonts, and sizes. Glue them to a piece of plywood or a canvas and you’ve got awesome wall art. Who Knew? 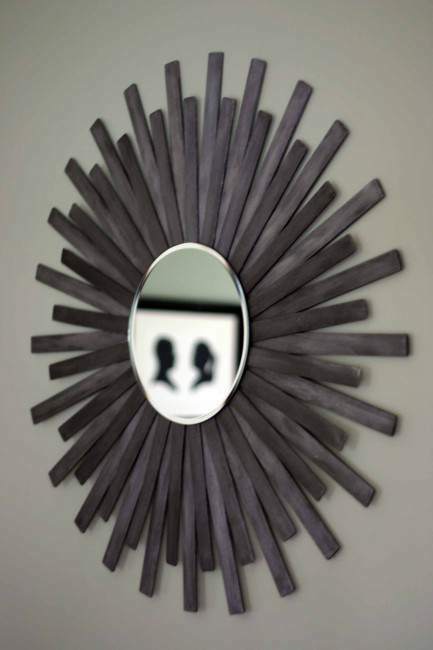 You can glue paint sticks into a circular pattern and create a really neat frame for a mirror! 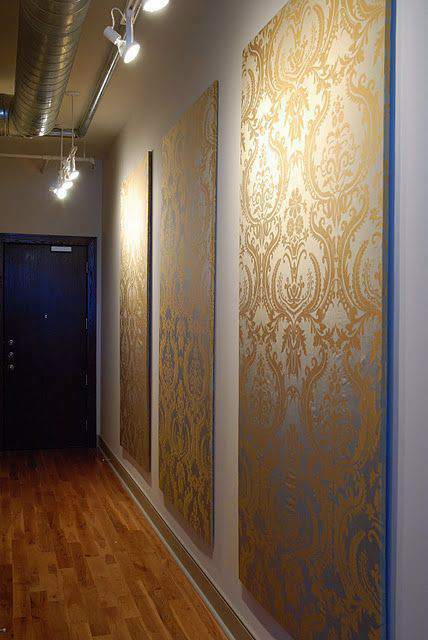 With wallpaper or fabric, the options are endless for cheap wall art ideas. Glue to a large plywood board or canvas in any size to create an art feature worthy of a gallery. String art was a popular craft in the 1960’s and 70’s for a reason, they are fun to create and fun to look at. 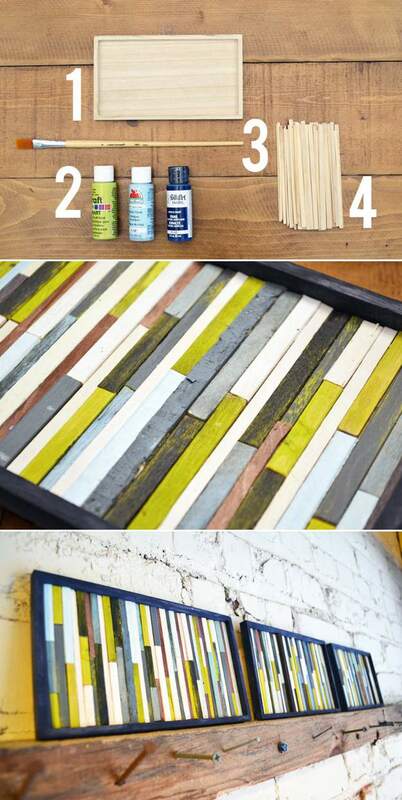 Recycling is a great way to find cheap wall art ideas. 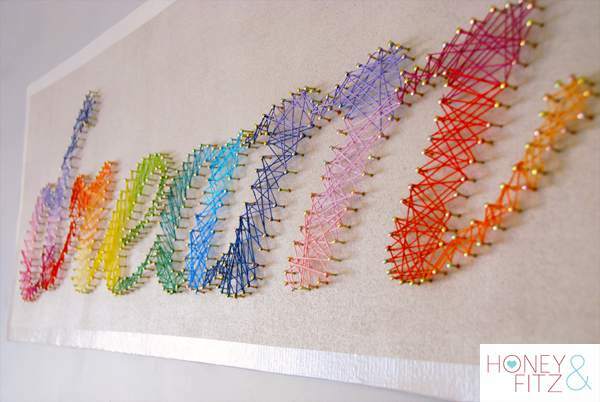 This blogger used wooden coffee stirrers to create a neat piece of art. We all have a couple of shoe boxes. Painting them opens up endless options. I found all of these great ideas on Buzzfeed. They have lots more great ideas, go check them out! Still looking for ideas for those mobile home walls? See how to Create an Awesome Gallery Wall for Less Than $50 and Using Accent Walls in Your Mobile Home. 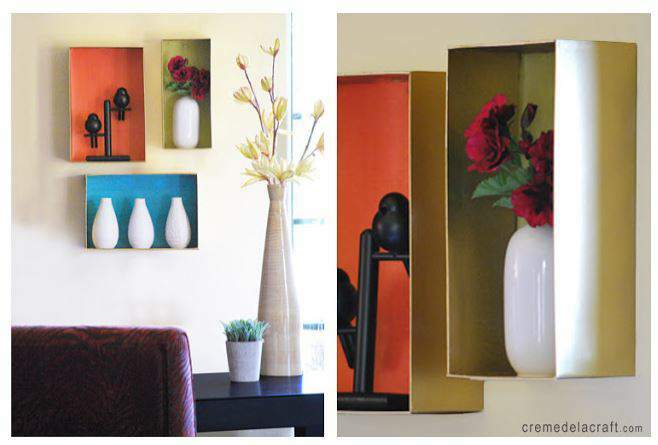 Love the painted wine boxes for shelving! The assorted neutral colors accent the walls and general décor beautifully. Nice collection! I hope i will have time to try make something of this good ideas. I like the hanging organizer, it is unique and useful. Thank you for sharing this one.